I won an opportunity for a solo show in a competition by Labor Gallery, Budapest in 2014. I exhibited some of my former videoinstallations and I made a new directly for this space creating a virtual environment in the empty white-cube. 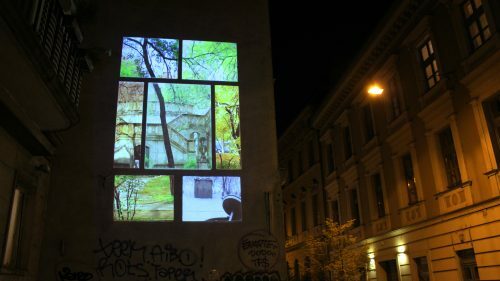 I projected the Times are Changing in my Window to the firewall of the building outside on the street. 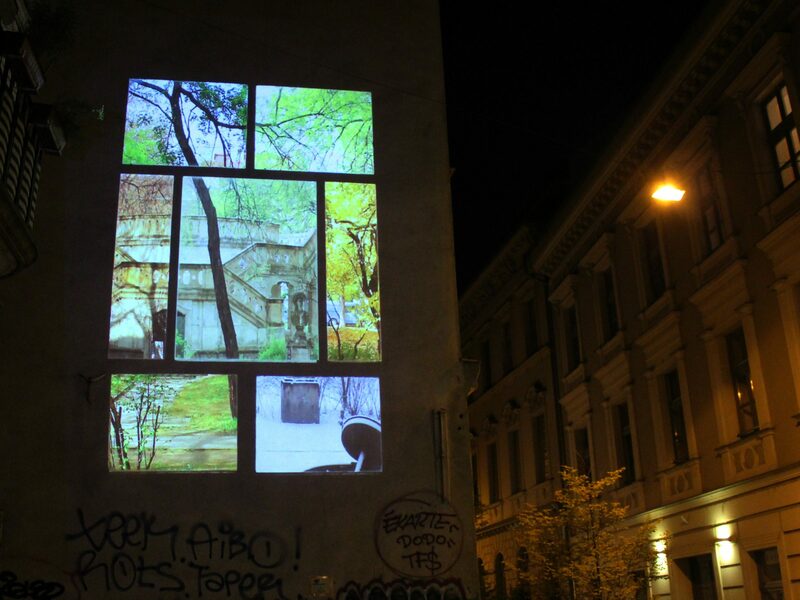 It became a huge video projection and three musicians (Gábor Gyarmati, András Őrsi and Bence Táborszky) gave a little concert on the opening which later we recorded as the sound of the video. Inside of the gallery I projected 3 other videos in life size. One of them was my former video called Opening, so I opened a space which is only virtually exists. And I recorded two other videos in this space before through the windows: one of them showed the process of a sunrise and the other was about an average summer afternoon. So in the gallery spaces different time and space dimensions were opened virtually for the audience by the doors and windows as a dimension gate.